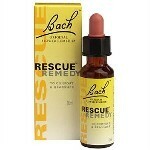 To provide relief from stress and tension associated with a busy lifestyle. Blackmores Women s D-Stress has been specifically designed for the 70% of women who suffer from stress. During times of stress the body produces adrenaline, which can lead to feelings of anxiousness. Women s D-Stress provides an important herb and essential nutrients that support the adrenal glands and contains nutrients that are in high demand in times of stress. 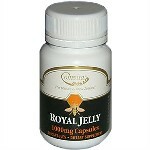 Royal Jelly supports and assists the body's immune system, thereby helping the body to combat the effects of aging and stress. Naturo Pharm Panicmed Relief Spray has been formulated to have beneficial calming properties that are settling for the mind and body. Radiance Multi-Power Tabs is an effective, energising multi vitamin and mineral formula. Ultra B may prove useful in a wide range of stress-related conditions, such as fatigue, colds and flu�s, allergies, menstrual cycle irregularities, asthma, eczema and other skin conditions. Gastrointestinal problems resulting from stress, such as cramps, nausea may also find relief with this comprehensive formula.